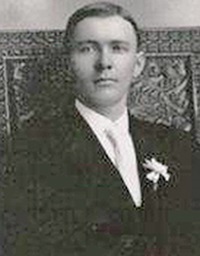 Deputy Sheriff Jesse Styers succumbed to injuries sustained in October 1934 when he was involved in a single vehicle crash while serving papers. He suffered a fractured skull in the crash and remained hospitalized until passing away. Deputy Styers had served with the Forsyth County Sheriff's Office for eight years. He was survived by his wife and two children. On today, the 82nd anniversary of your death I would just like to say thank you for your service and sacrifice for the citizens of Forsythe County.